You’ve been intuitive your whole life. You’ve always been able to “read” people and situations. Maybe you thought you were simply reading body language or subconscious cues. But then, there are more direct and definite experiences where you KNOW exactly what you need to do or say, even though there isn’t a scrap of logical evidence to support it. And when you follow through, miracles unfold in your life. The problem? It’s hit or miss. You get information sometimes, but you can’t tap into your intuition reliably. You’re at the whim of fate, the universe, or whatever-the-heck-it-is to get this guidance. The universe is trying to communicate with you. The universe is trying to give you the messages and the guidance to the questions you are asking. This online course teaches you to hear and translate these messages, with an emphasis on finding your unique psychic language and then developing each of the four primary psychic languages. Everyone gets psychic and intuitive information. Learning your psychic language allows you to accurately identify intuitive information that you may have been dismissing. It helps you grow your psychic abilities for yourself or others much more quickly because you get to use your strengths instead of your weaknesses. Psychic Mechanics is a 4-week online course designed specifically to help you develop and hone your psychic genius. It focuses on understanding the basics of psychic mechanics, which means learning HOW your intuition works and WHY it works the way it does. There are three keys to being a fantastic intuitive. These three keys, when applied, are what every professional psychic and intuitive work on honing and developing. In Psychic Mechanics, each key features two major lessons loaded with videos, exercises and meditations. Let me tell you about the three keys so you know what to expect. If you have trouble receiving intuitive information, it’s REALLY hard to develop your psychic genius. So we start here. We are all receiving information from the universe all the time, but most of us are looking for a specific TYPE of information (like a visual). Our misdirected attention leads us to accidentally miss the information that the universe is delivering to us (which may come in the form of a song getting stuck in your head). Plus, as a bonus, you'll get four guided meditations that assist you on your journey to unlocking the information you are receiving from the universe. Whether we like it or not, psychic information is almost always in code. It’s our job on the physical plane to decode it accurately. Obviously, if you go to all the trouble of receiving information from the universe about your life and the decisions you are making, you want to use that information, right? It is a crucial step. Plus you'll receive a guided meditation to help you clear your chakras! While it may seem like an obvious step, it is surprisingly hard to follow the advice of the psychic genius. There are all kinds of “things” that keep us stuck and prevent us from moving forward, even when we know what we “should” be doing. This module is all about breaking down those barriers so you can easily and effortlessly trust your psychic genius and take action. Plus you'll get a guided meditation designed to help you build trust with the universe. Join over 400 people in using the Psychic Mechanics course as an opportunity to take your psychic understanding to the next level. You'll finally be able to hear and translate the psychic messages you've been missing out on all this time. "I learned a lot of valuable information that helped me understand my intuitive strengths, build a stronger relationship with my guides, and interpret the information I receive." 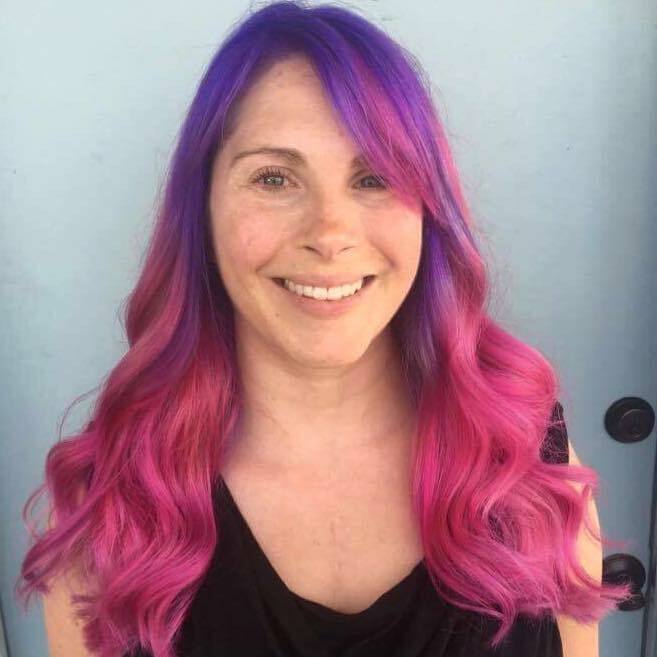 "I had always been mildly intuitive, but was feeling called to explore that side more and really get in touch with my psychic abilities that I always felt were just under the surface. "I started off not knowing what information I was actually getting from the divine, and what was coming from my ego/logic to developing a much firmer trust in my own abilities. "I love the way I felt so empowered after completing the course and have gone back to it and the fabulous meditation many times since. "It is well worth investing in if you want to gain confidence and delve deeper into your own psychic abilities - get ready to amaze yourself." "Erin-Ashley opened my eyes to so many things that I was missing from my intuition. (Did you know that a song in your head can actually be a MESSAGE? Do you know the exact way to tell whether it IS a message or just an annoyance? Yeah, amazing, right?). "She helped me understand the key steps to making it all work and understanding what my intuition was telling me. "Most importantly, she helped me learn how to stop fighting my natural abilities and work with what I have developed most. "I always wanted to get the visions and hear the messages in my ears, but I actually feel the information and have a deep inner knowing. Once I stopped longing for the information to come to me differently, my whole world opened up--and the ones I once longed for started making their way to me with ease. "Erin-Ashley was easily approachable with questions for help and guidance. She's so gentle and provides so many tools and practices for taking your next step in your intuitive development. "Before this course, I knew a bit about my intuition and could decipher it. "Now I'm receiving so much more information (and from all of the channels) and I confidently know what to do with what I'm getting. "This course was just what I needed to take my intuition to the next level. "Thank you SO MUCH for everything, Erin-Ashley!" For many sensitives, the veil between past lives and old traumas is much thinner. Learning how to heal past life trauma and integrate the lessons will give you the ability to walk this world with freedom. But it was part of my curriculum to get a degree in Metaphysical Sciences, so I tried exploring past lives, healing trauma, and remembering a skill from a past life. About the time I remembered how to see auras with my physical eyes and was able to immediately see the auras around me and instantly know what they meant… I had a change of heart. Like MAJORLY. I may have become slightly obsessed with exploring it all. I visited past lives and learned about myself and the eras I lived in, visited the future potential lives, changed my current circumstances BECAUSE of the work. It’s cool. But I do guarantee it’s worth the journey. Why go and dig up the past? When scientists studied the brains of Zen monks who were meditating, they noticed a few interesting numbers pop up - experienced meditators could get to 7.83 Hz brainwave state - which is quite impressive considering we're normally about double that. (Waking brainwaves are from ~14 - 40 Hz.) Interestingly, 7.83 Hz is also the same vibration the energy surrounding the earth. It's called the Schumann's Resonance and I paired it with the chakra clearing meditation with some rather wonderful results, if I do say so myself. Then, I added the same audio technology to all of the meditations for the Psychic Mechanics Course! This allows you to go deeper into your meditative and spiritual practice with less effort, because your brain will be cooperating with you. A 4-week online course designed specifically to help you develop and hone your psychic genius. You'll learn the basics of psychic mechanics and develop a real intuition for how it works. You'll develop a deep understanding and confidence in your intuitive abilities and feel like you can appreciate and trust the information you receive. 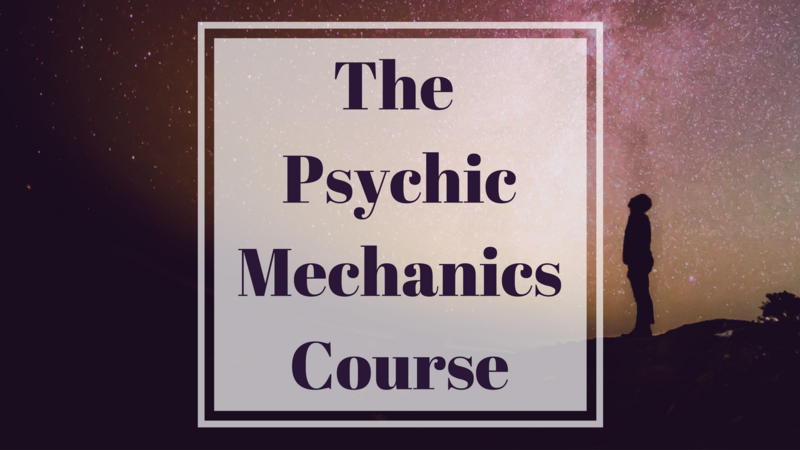 Psychic Mechanics is a 4-week online course that teaches you how to accurately identify intuitive information that you may have been missing out on. Click "Count Me In!" to sign up.